I’ve been wanting to take my 10 year-old son strawberry picking for some time, as a school holiday outing for us, but he’s been reluctant. But after one visit he admitted he had a great time! And so did I! Before we left home we checked the Beerenberg website to make sure the strawberry patch was open, as sometimes it’s closed due to bad weather or low stocks. After a drive up the Southeastern freeway, and down the Main Street of Hahndorf, we arrived around 10am. 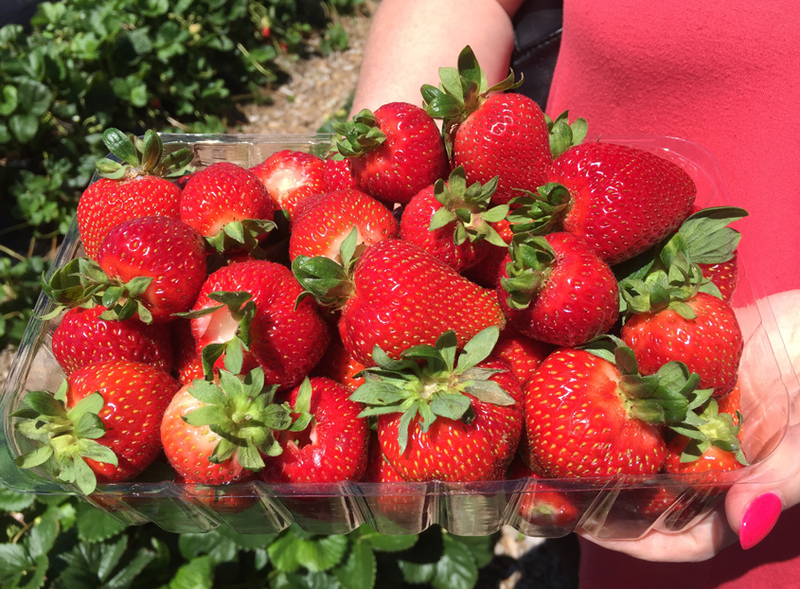 We paid the $4 entrance fee for adults with children free, and received a large punnet to fill. We popped on a wrist band then crossed the busy road and headed for the strawberry fields. Luckily we bought our hats with us, as it was a warm sunny day, and would suggest everyone do so. There were rows and rows to pick from and before we knew it our punnet was filling up! 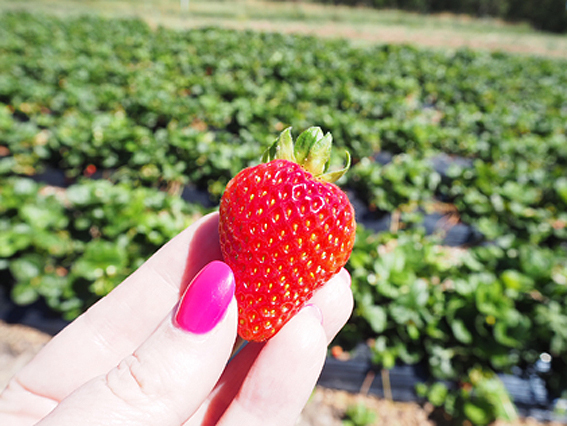 We may have tasted one or two – just to make sure they were sweet and juicy! 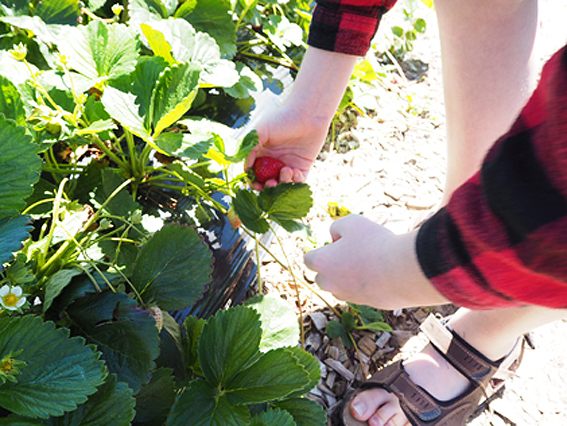 My son and I had a lot of fun searching for bright red strawberries to pick and taking photos! You can spend as long as you want there with no time restrictions and we spent about an hour. When we filled up the punnet and returned to the shop to pay, the long line snaked through the shop. It gave us time to peruse the many beautiful products available to purchase from jams to sauces to various condiments and more. We didn’t purchase any food as we were moving house so my son and I picked up a Beerenberg pin each and a tea towel for our new house. The line moved very quickly and the staff were very friendly and helpful. 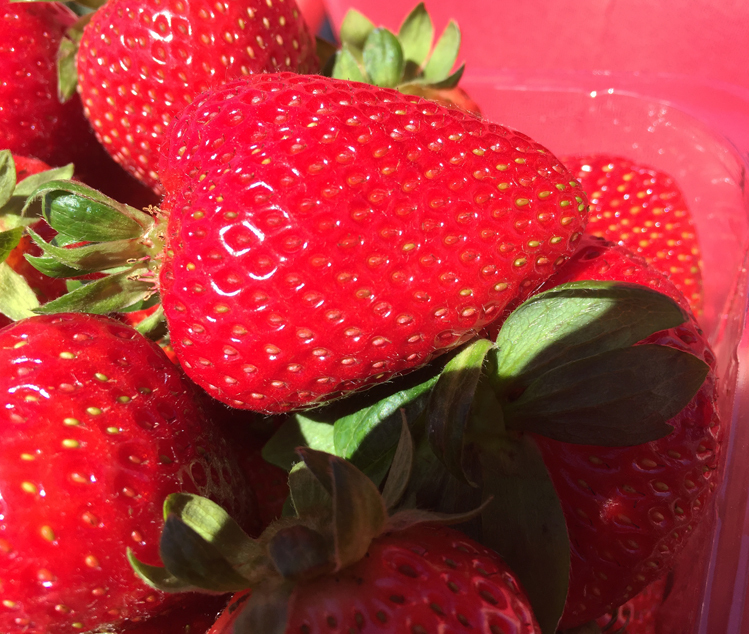 I would definitely recommend a visit and take a cooler bag for your picked punnet if you go on to explore Hahndorf.